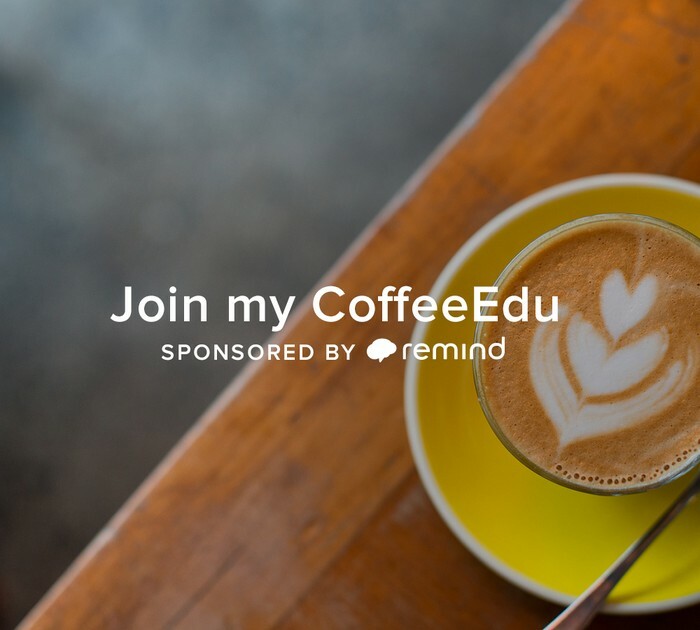 CoffeeEdu is an un-conference event for educators. Bring a friend and come for 1 hour of participant-driven discussion. This is an energizing opportunity to get our of your classroom and network with other educators. CoffeeEDU is an inclusive movement to encourage teachers to share best practices and learn from one another. Given Remind’s mission to connect every teacher, student, and parent in the world to improve education, we love it and want to help support connections and professional development! Find out more at http://coffeeEDU.org. If you are interested, please sign up for our Remind: Text 81010, with the message gb2h. This is how we will be communicating with you about this and FUTURE events! Coffee (not lattes) will be funded by Remind.com. Given Remind’s mission to connect every teacher, student, and parent in the world to improve education, we love it and want to help support connections and professional development! 1:45 - 2:00: Get Coffee! **We will begin promptly at 2 p.m.